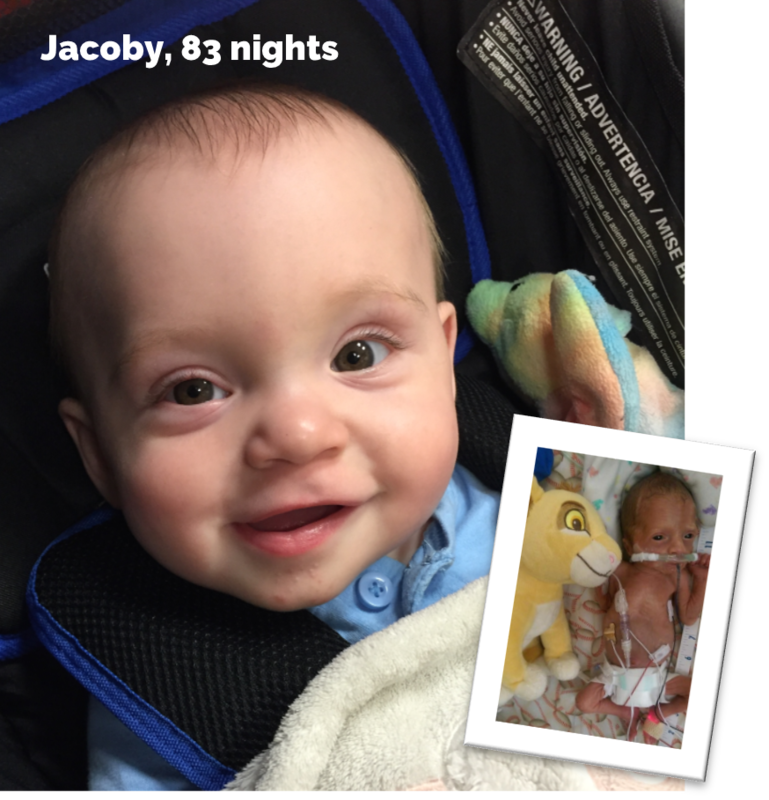 Jacoby was born at 25 weeks old and mediflighted from Enid to spend more than 80 days in the hospital overcoming many difficulties that came along with being 15 weeks premature. He had two holes in his heart, four kidney stones, two hernias, a brain bleed, a cyst closing 85% of his throat, and liver disease. With home being more than two hours away, Jacoby’s mom, Karla, and dad, James, were able to take turns being by his side the entire time by staying at the Ronald McDonald House®. “It was so helpful having somewhere to sleep, feel comfortable, take a shower, and spend time with my oldest daughter when she had to stay with me”, said mother Karla. While Jacoby’s family focused closely on his growth and healing process, Karla found out she was pregnant again. She immediately started receiving prenatal care but Aurora was born just five weeks later. After a cesarean delivery in Enid, Karla had a glimpse of Aurora’s tiny foot before she was mediflighted to Oklahoma City. Two days later, Karla was released from the hospital to be by Aurora’s side and see her face for the first time. The Close Family returned to stay at the Ronald McDonald House for more than 20 nights. During their most recent stay, Jacoby celebrated his first birthday at the Ronald McDonald House. Jacoby’s liver disease is under control and his sister Aurora is well on her way to going home soon.